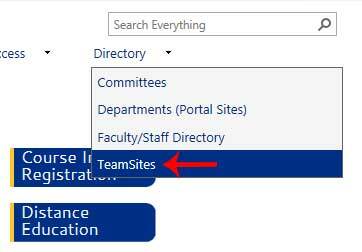 Locate Submitted Forms (Lists) on the left navigation. 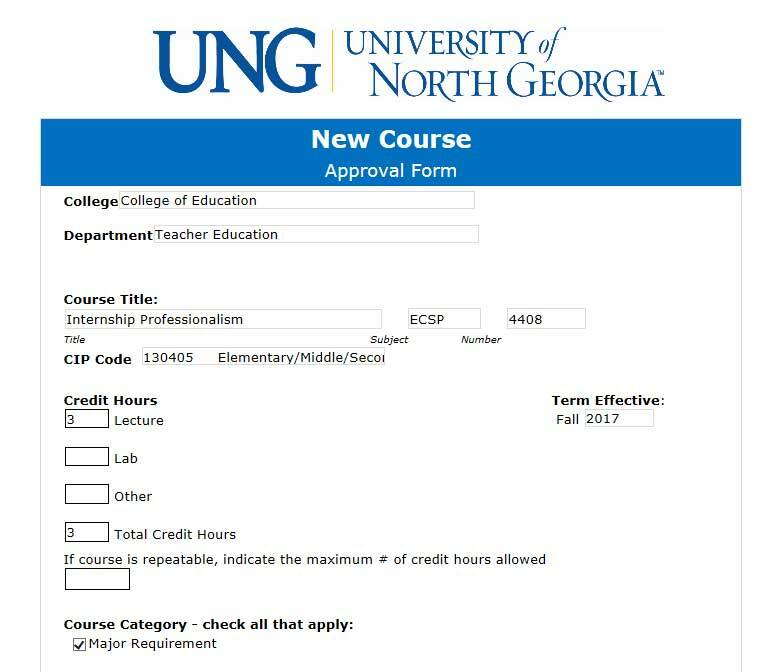 One the fly-out menu, select New Course Approval Form. 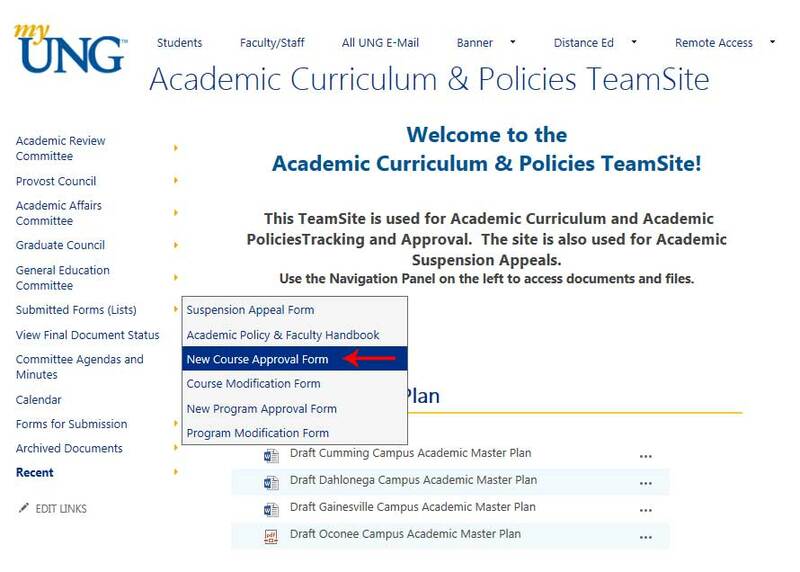 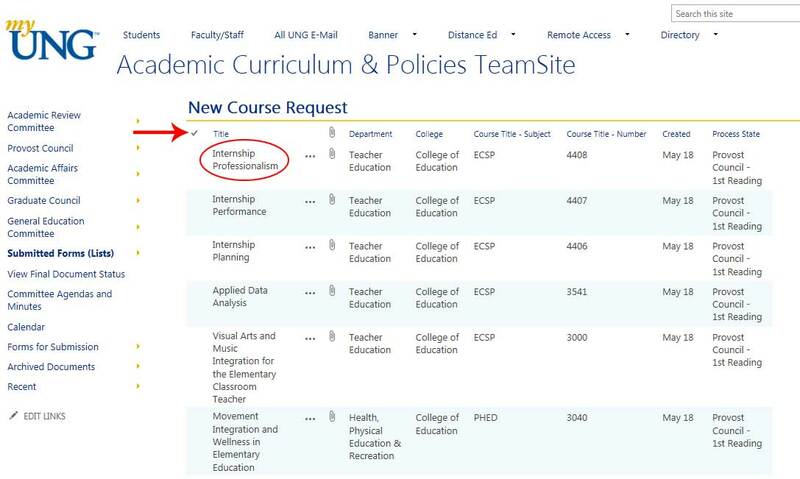 Once the request is displayed, you will be able to see the name of the course, the department, college and the process state. 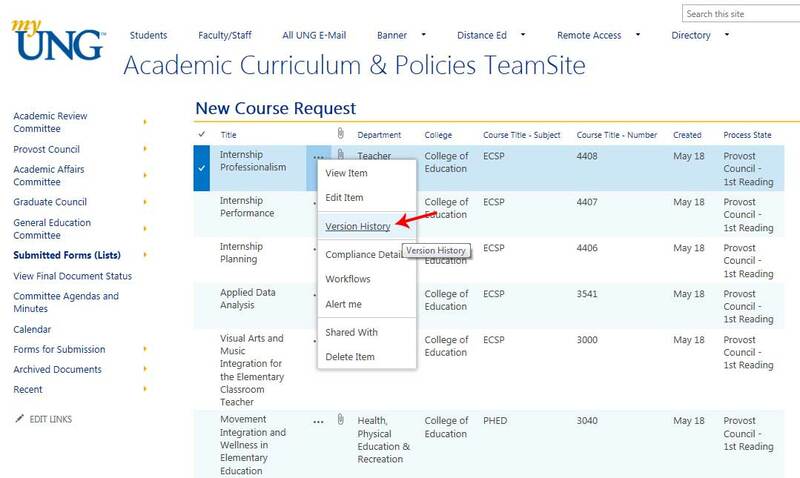 By clicking on the ellipsis you will be able to see the version history. 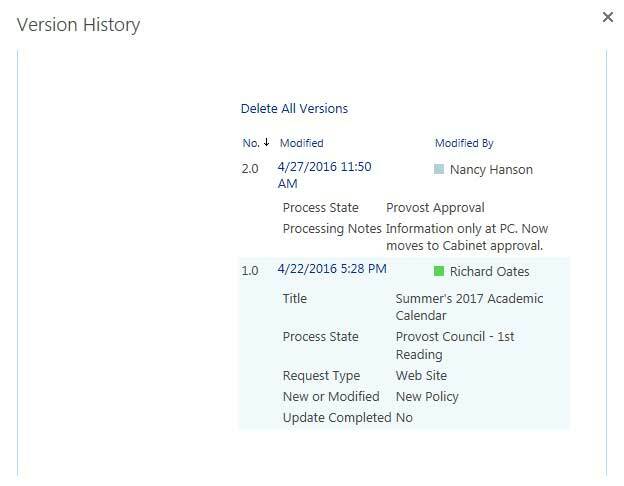 This shows the changes to the process state as well as any modifications to the request.